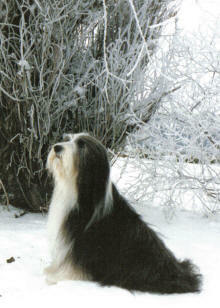 Sandy and I obtained our first beardie, CH Winterwood Tristan, in 1986. 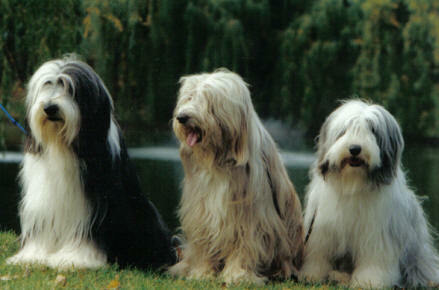 Our first litter of puppies was by Tristan and out of CH Victorian Sophie Galore in 1990. 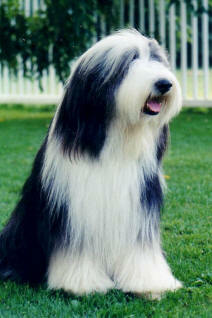 A few years after her second litter, began our connection to Balidorn Bearded Collies. Shortly before leaving for a dog show in Kentucky, we saw the cover a recent Bulletin with the most adorable puppy owned by Cynthia Moorhead Plum (CH Balidorn Spellbinder). We said to each other, wouldn't it be fun to show this puppy some time! Months later, through a series of somewhat unusual circumstances, Plum came to begin in show career in the mid west. He stayed 4 years, finishing his championship and siring one litter while he was here. He is now back with Cynthia in Indiana. 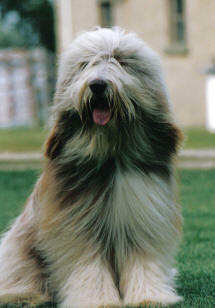 Our love and admiration for Plum motivated us to make a trip to Wales in 1997 to fetch our own Balidorn puppy, CH Balidorn Major Attraction, Owain. 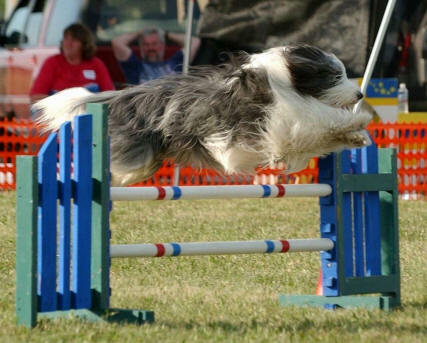 Finishing before age 2, shown as a special and placing in group, he began his career as a stud dog. 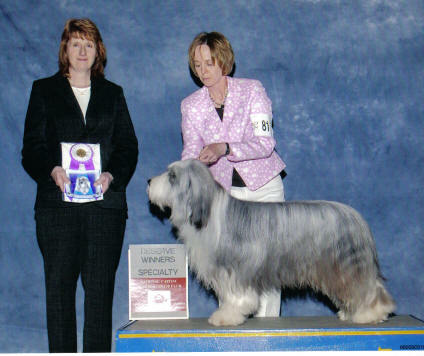 He has produced two champions, one of which was Winners Dog at the 2003 BCCA National, CH Isles Super Trouper. Two more of his offspring are close to their championships, and one, Echo, (Isle Name of the Game) is already titled in Obedience and Agility. Of course, he could not have done this by himself, and that brings us to Ciara, CH Balidorn Cari on In Style. She came to live with us in the spring of 1999 and the house has never been the same. She is the queen of the household in every way. She also finished her championship easily and transitioned into motherhood famously. Dylan (Ch Isles Super Trouper) lives with Sheila and Alan Hill and Robyn (Isles Mama Mia) lives at Isle Farms. Recently, we obtained a male puppy, Kipper, Brigadoon To Be Continued from Penny Hanigan by CH Balidorn Continue In Style (Bafta), owned by Jim and Sheila Larsen. We are hoping for one more litter out of Ciara to carry on the winning combination of Balidorn and Isle Farms.
! 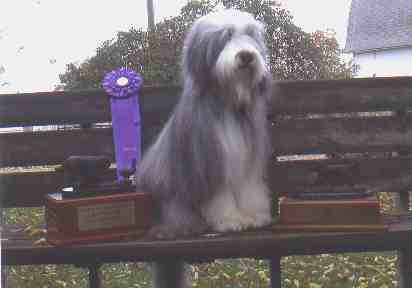 Kipper Best of Winners at Canadian Nationals August 2005 ! RWD at Regional Specialties in Michigan, Baltimore, and the National BCCA Specialty in Fort Collins. Finished his US championship at 18 months of age with a BOB over Specials. At 20 months of age he was WD, BOW, and Select 1 at the BCCC National Specialty.